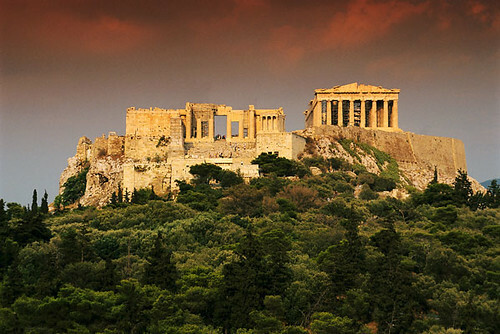 Athens is the capital of Greece in southern Europe and is known as the birthplace of modern Europe. It is one of the oldest cities in the world and is home to two UNESCO World Heritage Sites. These are the Acropolis and the Daphni Monastery. Athens is the home of the original Olympians and was the birthplace of the modern Olympic Games in 1896. Athens is so full of history that there are numerous sites that are worthy of visiting. Some of the more prominent ones include the Acropolis, Hellenic Parliament, Acropolis Museum, andMonastiraki Square, the Temple of Hephaestus, Temple of Olympian Zeus, Agora, and theNational Archaeological Museum. Athens has more theatrical stages than any other city in the world and the Athens Festival is staged there annually. Greek food is very important to the culture of the city and seafood is special to the isles. Among the specialties are the Horiatiki Salad, Lamb, Yogurt, Capari Salata or caper salad, Olives, and eggplant salad. Among the places to try Greek cuisine in Athens are the Makalo, Melilotos, To Kati Anno, and Klimatario.